But it’s normal to lose that positivity in the weeks that follow. Honestly, we blame alarm clocks — oh, and the cold weather that makes us just want to put on a hat. It’s so easy to fall back into last year’s hairstyle rut once you’ve run out of ideas within the first month of the year. But we’re here to keep you encouraged. Because while you might’ve thought that you used up all your creativity in January, we’re here to prove that you’re just getting started. We’ve been putting the Instagram save feature to use to compile a month’s worth of hair inspiration. From bold accessories to Beyoncé-approved box braids, there’s something for everyone to try. Ahead, 28 gorgeous looks that will inspire you to keep the good hair days coming in February. Bangs might be the first thing you notice about this dreamy hair look, but the real star is actually the burnished-copper color, which is trending all over Instagram. 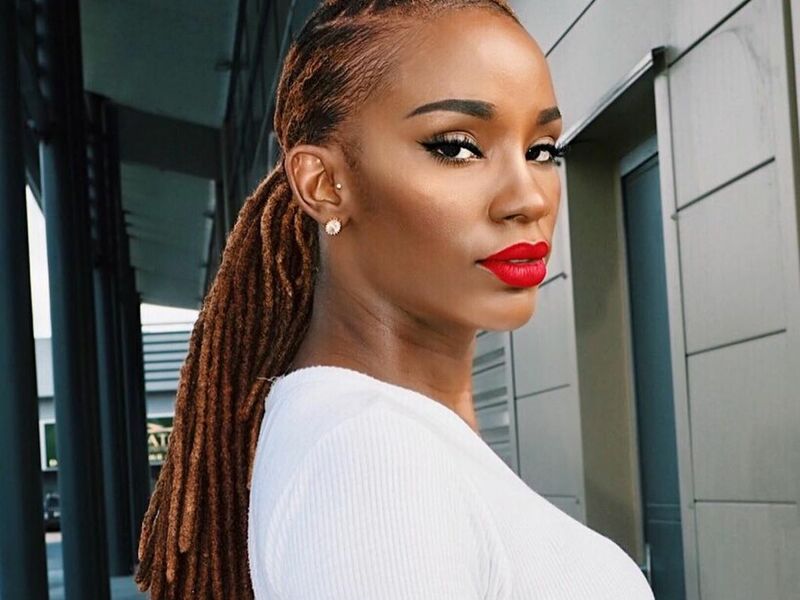 Speaking of copper hair, Malaïka made selfie-worthy magic when she pulled her locs into this low ponytail. Based on what we’ve seen from 2019 award season so far, black bows are in. Why not put your own twist on the trend with an embellished version? Just because the holidays are behind us doesn’t mean you have to pack up your sparkly hair accessories, like these crystal star pins. …or wear yours slicked and snatched, and let this look created by Ruslan Nureev serve as the ultimate inspiration. These knotless box braids are goals. Brighten up even the coldest days with fun, old-school barrettes to add a pop of color to your look. Up for a challenge? For your next night out, try recreating this look, which features a front hair swoop twisted back into a twined bun. Hair accessories can be the perfect touch, even if they’re placed somewhere a little more out of sight. If you feel like you’ve done it all when it comes to hair color, draw inspiration from Ruby Rose, who gave us the perfect unexpected winter shade: Violet Moon. Gold adornments are the perfect way to add some oomph to your braids. Gather your bobby pins and sweep your hair up into this elegant retro twist. Still have those ribbons from your Christmas gifts lying around? Make use of them in new ways, like jazzing up a basic messy braid. Ready for a dramatic change? Go for the big — like, really big — chop that will set you free in 2019. Take your love of hair accessories to the next level with major hair jewelry. If you’re low on time and dry shampoo isn’t doing the trick, this one’s for you. Just twist a few strands on the top of your head for a quick and pretty hairstyle. Change up your box braids by experimenting with different colors. Pastel shades that will make your state of mind fast forward to spring, even if the weather doesn’t agree. Add some edge to your curls with a tapered fade and clean line design. Fades work just as well with straight hair, just in case you’re looking for something new to do with your pixie cut. There’s never a wrong time to get bangs, especially with a super-cute short cut like this one. We don’t know which we love more: the luminous balayage color or the loose, delicate ponytail. A twist on the curly pineapple bun, but make it low and let some strands fall for a messy, relaxed look. Give your ponytail a subtle, yet stylish touch with a neutral-toned statement hair tie. Achieve this elegant look by misting hairspray on a soft brush, brushing your top layer of hair back, and curling the rest with a rod. Forget “less is more” and have fun with color like Cardi, who’s rocking the biggest hair-color trend of 2019 so far. Sit back, relax, and wear your hair in a classic messy bun. Transform your Afro by dyeing your hair platinum blonde, but keep the roots dark for a contrasting look and an easy grow-out process.